The correct question: Did he really watch it at the gym again? For my earliest examples of what happens when I watch on the treadmill, check out here and here. Laura is in Stratton’s Dilemma, so we’ll see which way she goes. If Laura doubles her score, she’ll have 27,600. To cover, Rachael will need to wager 8,100. An incorrect response with that wager will leave Rachael with 11,400. To stay above her total, Laura can wager up to 2,400. Nic must respond correctly to have a shot, so all-in is the way to go. 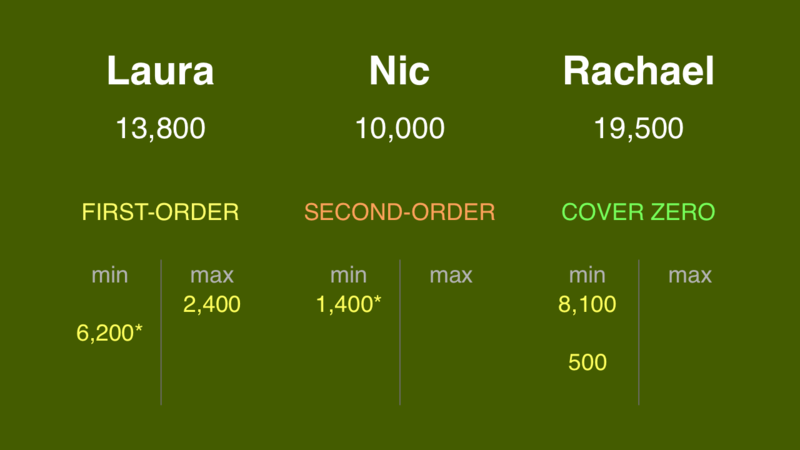 A successful doubling will put Nic at 20,000. To cover this, Laura should wager at least 6,200, which means she might as well go for everything. Rachael would need to wager at least 500. 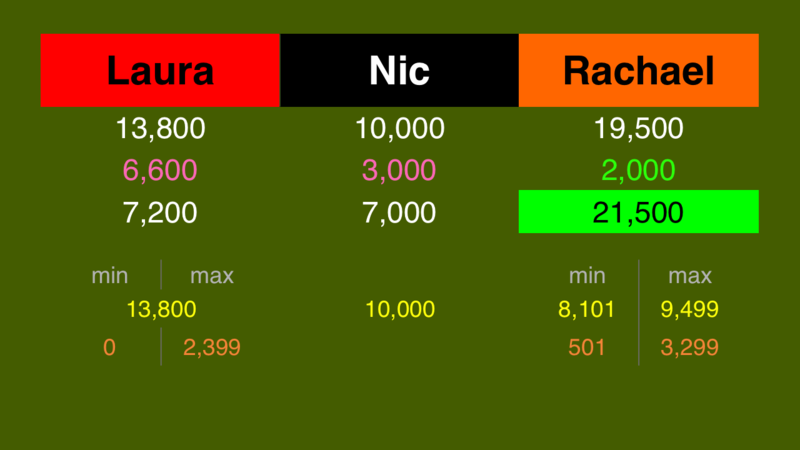 Ignoring Nic for now, if Laura makes the rational maximum wager of 2,400, Rachael will need to wager 3,300 to stay above her. My preference is for everyone to wager big, but with a category like this one, some players might be more reluctant. Strangely enough, Rachael had the best wager of the three. 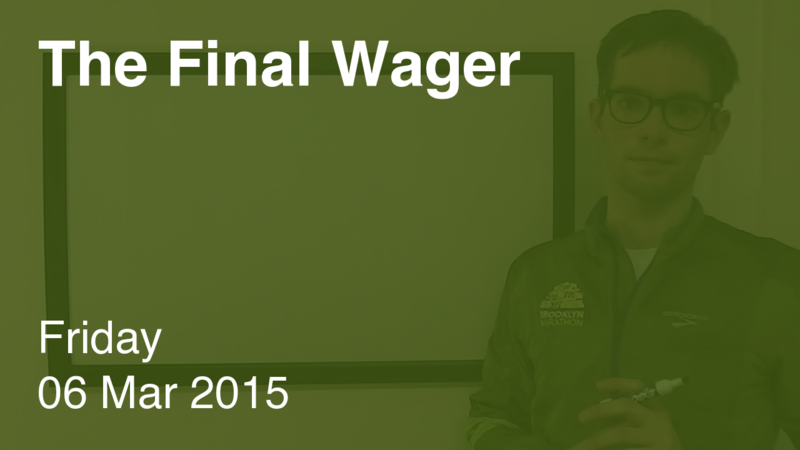 With his 3,000 wager, Nic has no chance to win – which is why he gets the black. Laura is going to lose if she’s wrong either way, but by withholding some of her total, she will lose if she’s right. If you’re gonna play, don’t play for second place. The first “here” points back to 9/30/13. I think you intended 10/3/13.